Crack69 wrote: That's why I'm using guardian chokes. Your sentry is just too weak for that. Sentry 13 is 43 dmg per pulse. I did about the same as you showed me. Guardians now like choke point. Now I'm trying to save money for a sentry of level 10. I use server as choke and it helps me. I also want to ask: Should I upgrade the scanner to level 8? Your base can be breakthrough very easily. You should stop upgrading your Turrents, Black ICE. That's really enough for them. Only upgrade your Sentry to the highest lv as you can. It's luckily that you kept the 1 lv scanner. That's right. 1. Lvl up the higher lv scanner to high as possible as you can (I have 9 lv scanner now, no one ever can use Stealth hack against me. 2. First chok points are always be 1 lv Guardian (with at least 11 lv Sentry at 2X lv or 13 lv Sentry at 3X lv) or 1 lv scanner. 3. Place guardian for all Turrets. Then place 1 lv Farm behind them, so that hacker can only take down the farm quickly but not nearby Defense. Then connect all the Black ICE to the 1 lv Farm. 4. If you don't have a good network to defend Krakens (people still use 1 or 2 lv Krakens at your level), then place your Core on the second Code gates. It will buy your defense system some time to spread Anti-virus. Think about how people attack your base (or watch recording for them) and think a way how your network defend. What would people do with their weapon. How to consume all of their weapon before reaching your Core / Resources. Sometimes, you could just place your Core at the font (to the Code gate usually) if you care Resources as much as your core. (You can always revenge people after they hacked you without getting your resources. No, don't lvl up guardian, lvl up sentry & Core as fast as you can. or focus on lvling programs =P if people just can't hack your base. And I know your base is fine with your Rep =P. Don't get up your Rep. Or you will face horrible attacker. Core mostly - to unlock more nodes. Particularly Code Gates and the third Library. You gained a lot of experience by upgrading those two Code Gates, but it only takes level 1 Wraiths to completely nullify them. You can't move them, though, since you need two Code Gates at the front to prevent the most basic of hybrid stealth attacks from neutering your other defenses. It's best if those two front Gates are left at level 1 until much later in the game. The first choke point with Turrets isn't great. Turrets don't change targets when their neighbors are captured and your turrets are too well leveled and your Sentry is too low level to recapture those turrets with just AV. I'd normally say you should disconnect them from each other so your opponent can't install more offense programs to help speed up their capture, but without more Code Gates, there's a real risk your Sentry's AV won't reach all the turrets if you disconnect them. Unless you build a Maelstrom, you generally need two Sentries to spread AV around fast enough - even when you do have more Code Gates stalling the initial attack. The second choke point with Black Ice is also sub-par. Black Ice attacks slower than Protectors can be installed, and you don't have enough raw DPS at that choke point to smash moderately upgraded protectors. Your Core is placed in a useless spot. If an attacker wants to, he can easily skip it on his way to your resources. The last two choke points - the Guardians - are weak because Guardian Chokes only work when you can bring a ton of raw DPS to bear. Just antivirus isn't going to cut it. Your Compiler is poorly upgraded, so I'm guessing you don't do a lot of hacking. 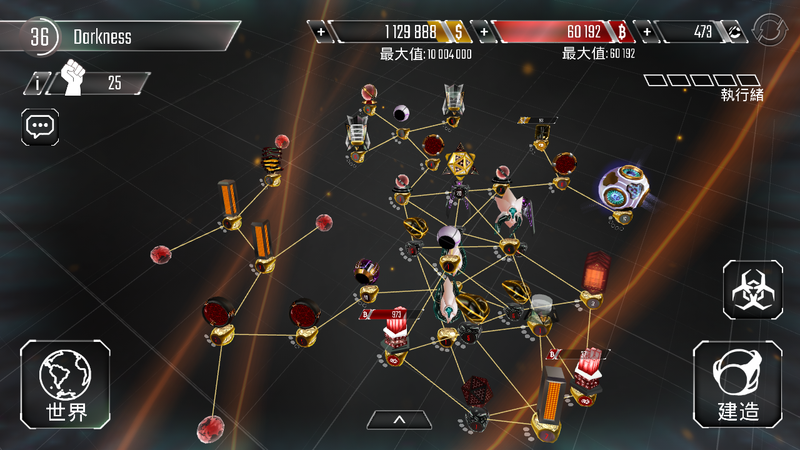 Hackers is not like Clash of Clans and similar empire-building strategy games. In Hackers, the offense power curve outpaces the defense power curve. The farms + defense strategy (neglecting offense) progresses at a crawl compared to the offense + defense strategy (neglecting farms), and don't even consider pursuing the farms + offense strategy (neglecting defense) unless you're a whale willing to purchase 9-sec every night you have significant resources stored. What am I getting at? You've purchased and upgraded your mines and farms much more than I would recommend. If I was in your position, I'd stop trying to protect the Core, mines and farms. Use them as part of your defense. Their firewall can be used to make it harder to reach your storages. And of course, upgrade your programs and start hacking more people.